Allen Bourque is a Christian Contemplative, and Centering Prayer practitioner and has been a student of Tai Chi and related Daoist internal arts for over 20 year. His primary Daoist teachers are Don Ethan Miller and Bruce Frantzis. He weaves together the strong body and awareness-based practices of Daoism with the profound heart-centered practices of Christianity. 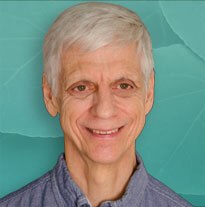 He leads Contemplative Movement programs throughout the Northeast and is an advanced student of Cynthia Bourgeault. He is a graduate of the Shalem Program for Leading Contemplative Prayer Groups and Retreats, a member of the faculty of the Life Together Community of Brookline, and a member of the Board of Contemplative Outreach Boston. Contemplative Movement cultivates our capacity to move through our days with greater ease and responsiveness to our varied life circumstances – extending the communion we experience in prayer and meditation into our daily activities. This workshop will develop familiarity with natural movements and gestures drawn from both the Daoist (Tai Chi) and Christian traditions. Starting from experiences of flow, balance and groundedness, the primarily “body” orientation of basic Daoist practices provides a beautiful complement to the heart-centered practices of Christianity. Contemplative Movement also supports the activation and alignment of our hearts, minds, and bodies thus further enhancing our contemplative presence in the world. No prior experience with Tai Chi is necessary. The workshop will be of value to those with any kind of sitting practice who desire to move with more ease through their lives. For those who have experience with Tai Chi or other body-oriented practices, this workshop will provide fresh approaches to integrating the physical with the meditative and awareness aspects of your practices.